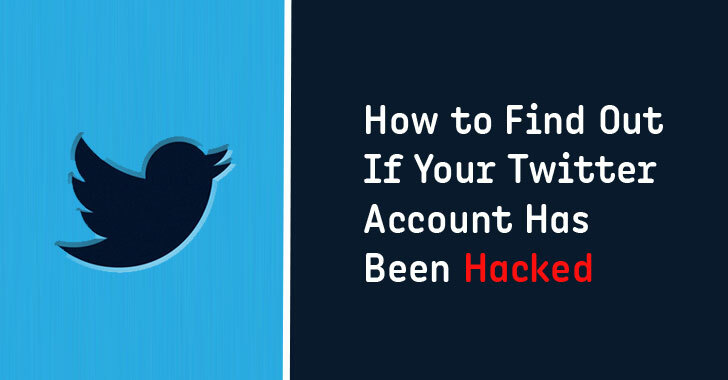 Did you ever wonder if your Twitter account has been hacked and who had managed to gain access and when it happened? Twitter now lets you know this. After Google and Facebook, Twitter now lets you see all the devices—laptop, phone, tablet, and otherwise—logged into your Twitter account. Twitter has recently rolled out a new security feature for its users, dubbed Apps and Sessions, allowing you to know which apps and devices are accessing your Twitter account, along with the location of those devices. The process is almost the same using a desktop or laptop. Open Twitter and tap on the photo icon on the top right corner where you find all the account settings. 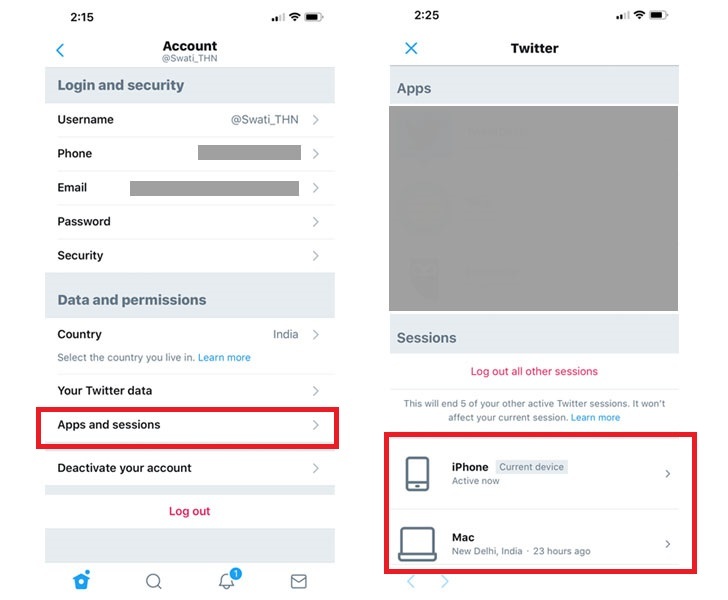 Once you tap 'Apps and sessions' on mobile or 'Apps and devices' option on desktop, you will be shown a list of all devices active on your Twitter account in the last month, as well as location they're in, along with a list of third-party apps that have access to your Twitter account. 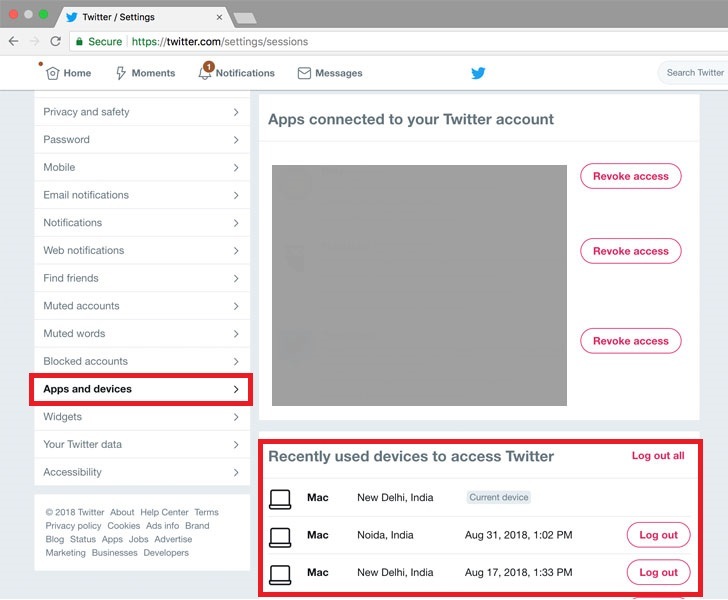 Now, you can click on the devices to see more information, including the name of the device your Twitter account was accessed on, what browser it was used on, date and time, and the approximate location the device was used in. If you found any suspicious device that you never logged in, you can revoke back the access in just one click. This will close any open session, preventing people with your Twitter account access to log into your account again. However, you are highly recommended to change your password as well as recovery and 2-step verification settings, if you found such situation, as this will prevent people that may have your current password from signing back in.